Dr Varodom Charoensawan is an Assistant Professor at the Department of Biochemistry, and the Systems Biology of Diseases research unit, Faculty of Science, Mahidol University, Thailand. He also serves as the current director of the Integrative Computational BioScience (ICBS) centre. Prior to his appointment at Mahidol University in Bangkok, Dr Charoensawan obtained his PhD from the Medical Research Council Laboratory of Molecular Biology (MRC LMB) in Cambridge, UK and undertook postdoctoral training at the Sainsbury Laboratory, University of Cambridge, UK. 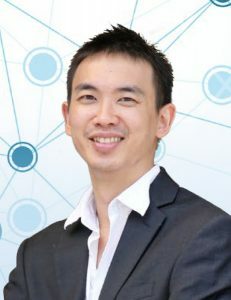 Using the so-called Systems Biology approaches, Dr Charoensawan and his team are currently investigating a fascinating problem of how identical genetic information in the DNA can be expressed differently, depending on environmental conditions and developmental stages. One of the group’s focuses is the dynamic interplay between transcription factors and nucleosomal histones in budding yeast, plant, and animal models. The two groups of DNA-binding proteins compete for binding to overlapping DNA sequences, and their genome-wide binding configurations are highly adaptable, in responses to stress exposure such as temperature changes, or hormonal stimuli. The group’s long-term research goal is to identify the general and system-specific regulatory rules that govern gene expression, characterise new biological switches, and eventually compile a comprehensive “regulatory map”. Dr Charoensawan’s group has recently secured a Newton Advanced Fellowship from the Royal Society, UK, to establish the first single-cell genomics facility in Thailand. This state-of-the-art technique will allow the group and others to investigate gene expression at an unprecedented resolution down to individual cells. In recent years, Dr. Charoensawan has contributed to a number of key publications in international journals such as Science, Molecular Cell, Nature Plants, and Molecular Plant. He has received numerous awards including the Young Biochemist and Molecular Biologist from the Biochemistry and Molecular Biology section, Science Society of Thailand (2016), the Thailand Young Scientist Award (2017), and the TRF-OHEC-Scopus Young Researcher Award from the Thailand Research Fund (2018).